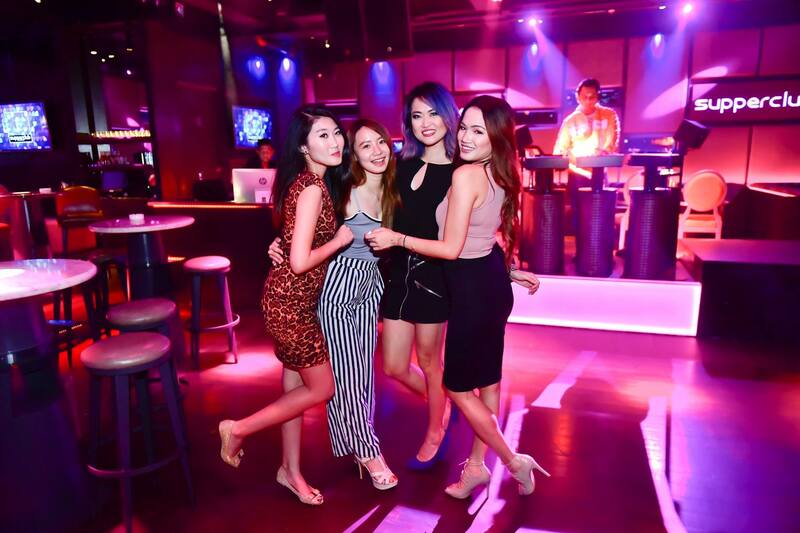 We headed over to Supperclub KL recently to try out their newly revamped menu. 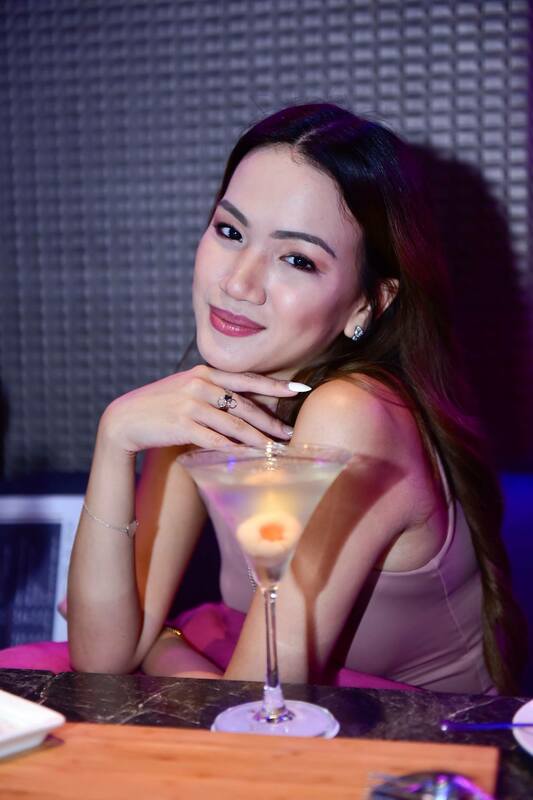 Supperclub is an upscale Gastrobar and Lounge, and was one of the first tenants in the Electric Boulevard or Phase 1 of TREC, which is the country’s first and only purpose-built, urban F&B, lifestyle and commercial destination. 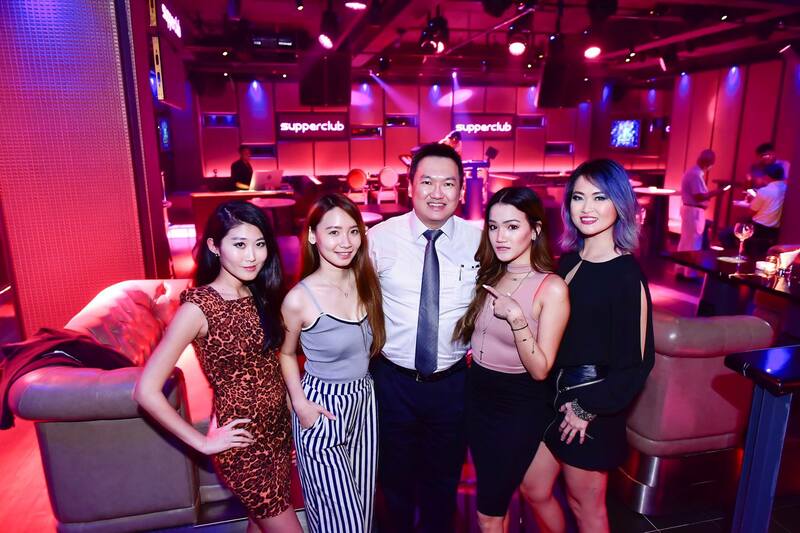 After some months in operation, Supperclub noticed that TREC lacked a F&B establishment which offered diners a premium dining experience and thus engaged the services of an experienced international chef to revamp their menu to meet that need. 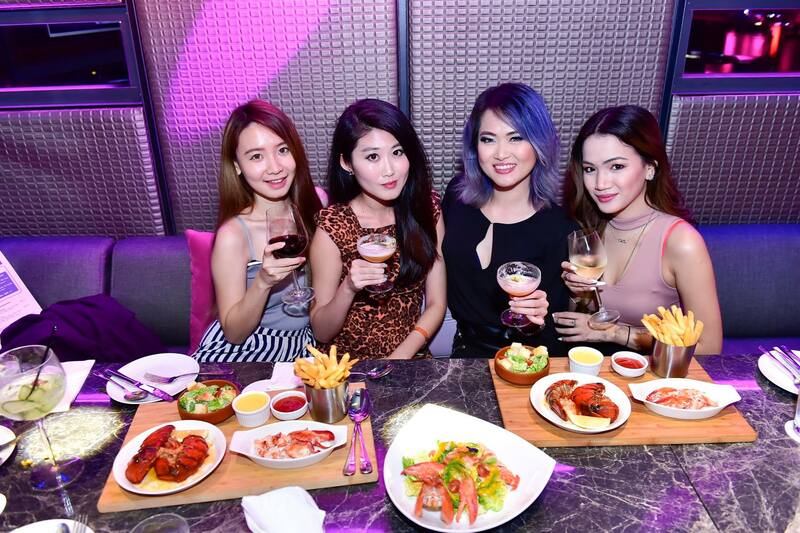 We were very honoured to be one of the first to try this new menu! 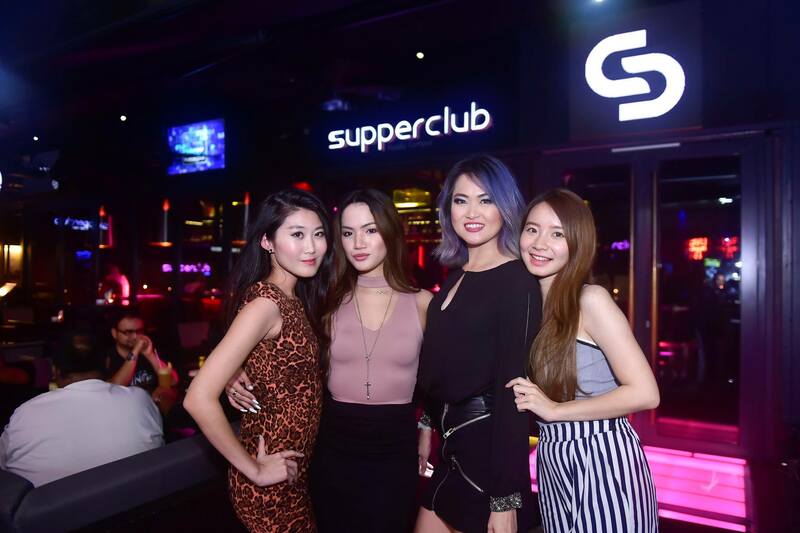 Supperclub KL has a few different sections for diners to choose from – the al fresco section outside if you like people watching while having a drink or some light bites, the island bar section if you like watching the bartenders in action, the high table section which is great if you’d like to have some drinks in an aircon environment, and the low table dining area which is more conducive for dinner. This one is for oyster lovers! 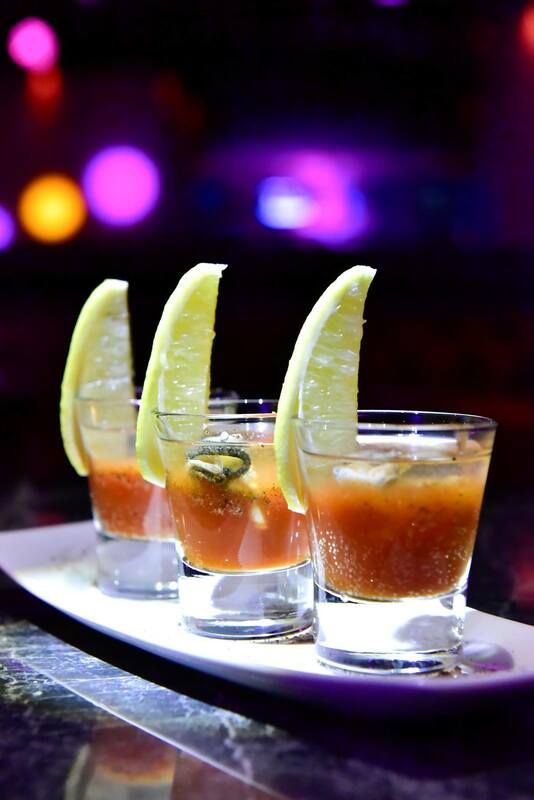 A fresh oyster swimming in a shot of ABSOLUT vodka and spiced tomato juice. 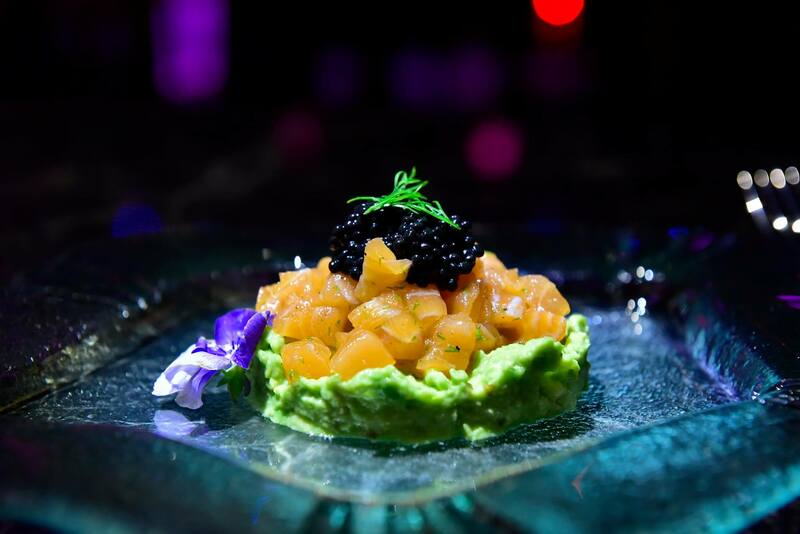 A bit of a fusion of flavours here with the Tex-Mex guacamole paired with slices of salmon and topped with caviar! 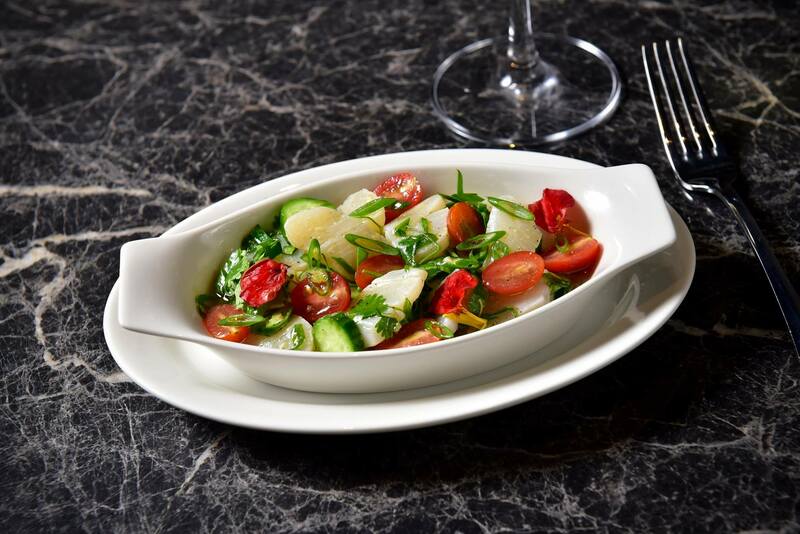 An appetiser which is spicy, piquant and sweet at the same time! 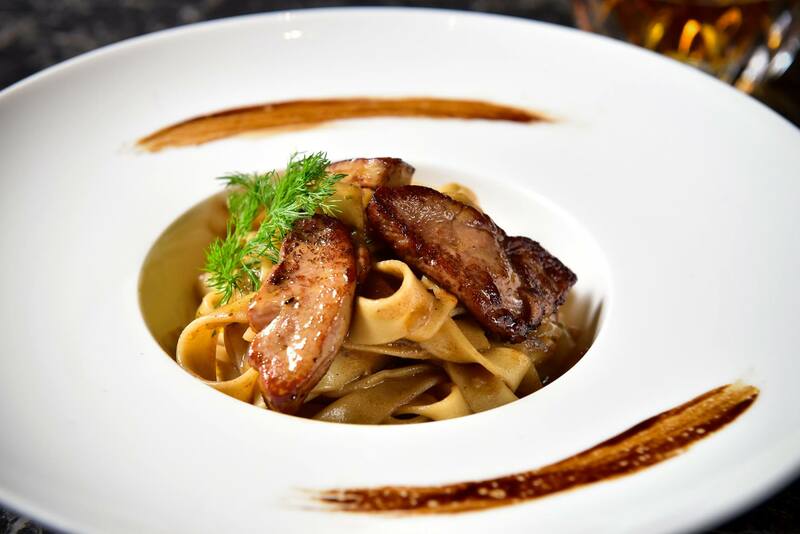 This dish will definite whet your appetite for the mains to follow. This was Kelly’s favourite appetiser! 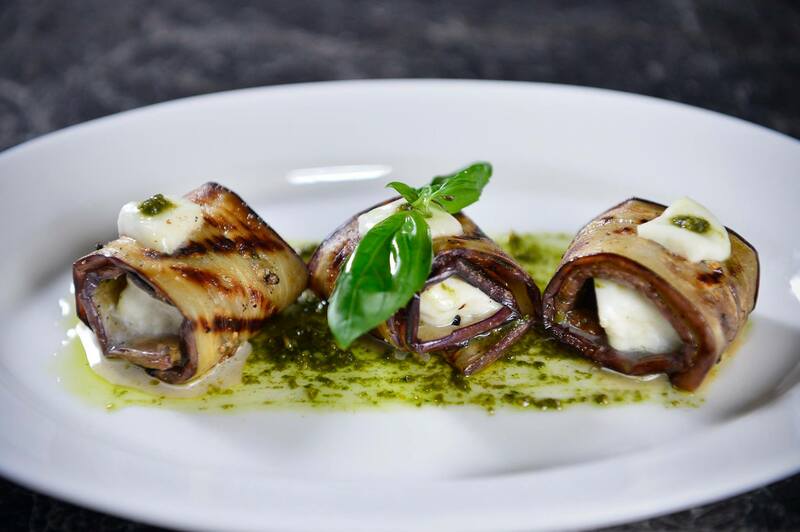 The combination of eggplant with the creamy Ruffalo cheese and green pesto sauce was a match made in heaven. 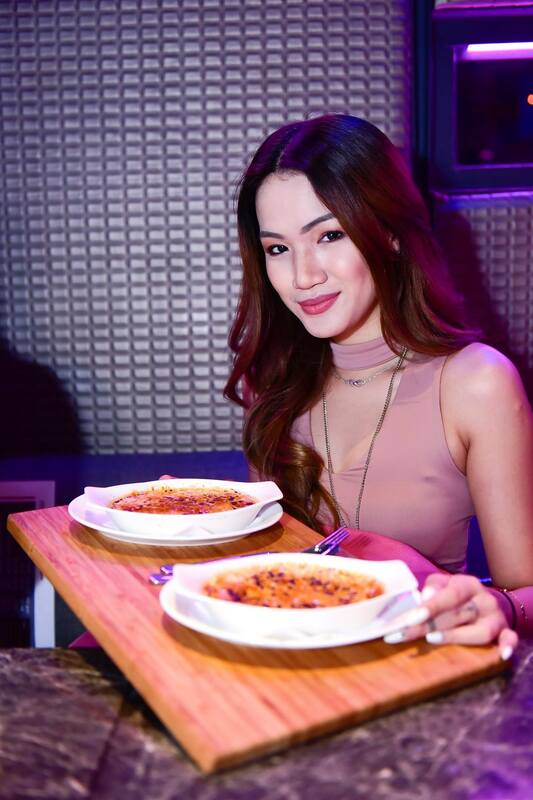 Kelly really liked this dish! This was a very hearty dish indeed that had a generous amount of seafood hidden underneath. 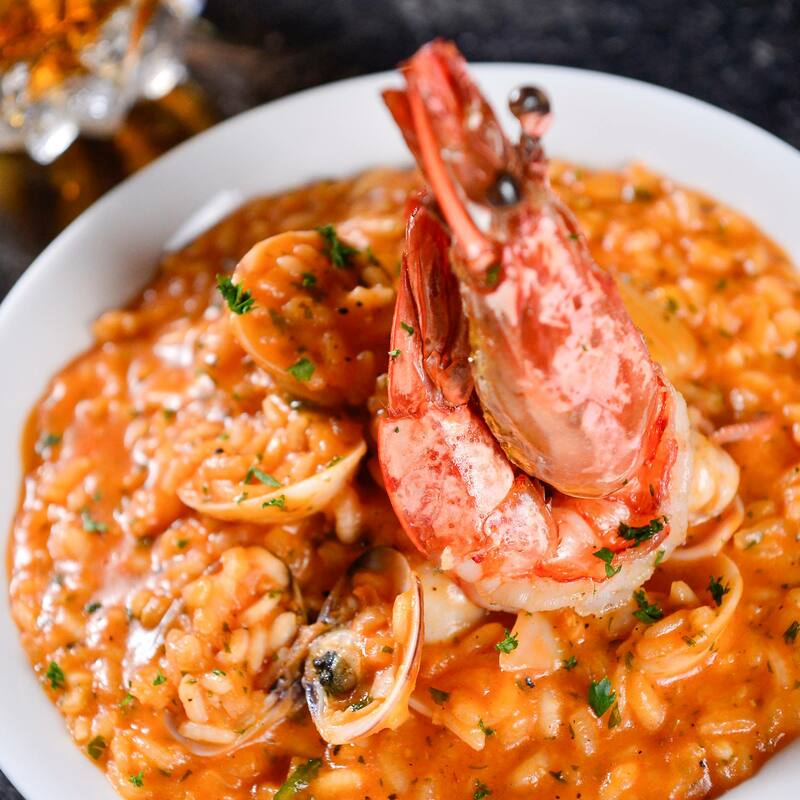 The flavourful risotto rice was cooked with a tomato base and paprika, giving it a lovely red tint. 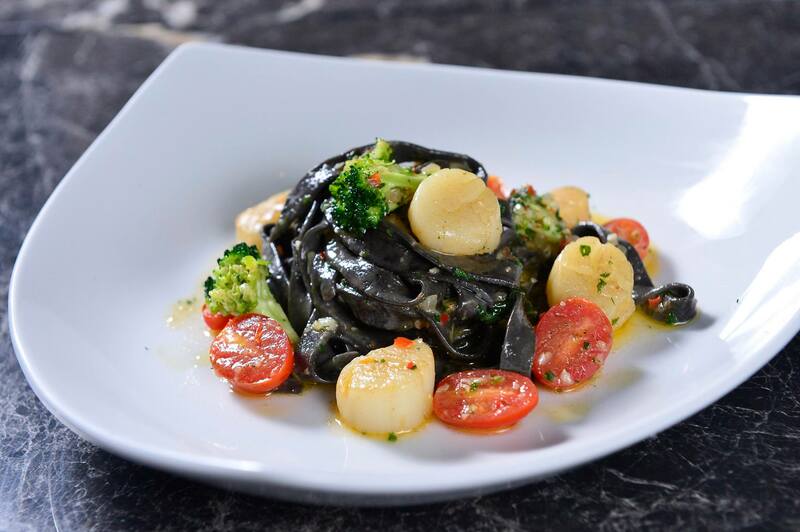 Homemade black flat pasta served with fresh scallops, broccoli & cherry tomatoes. 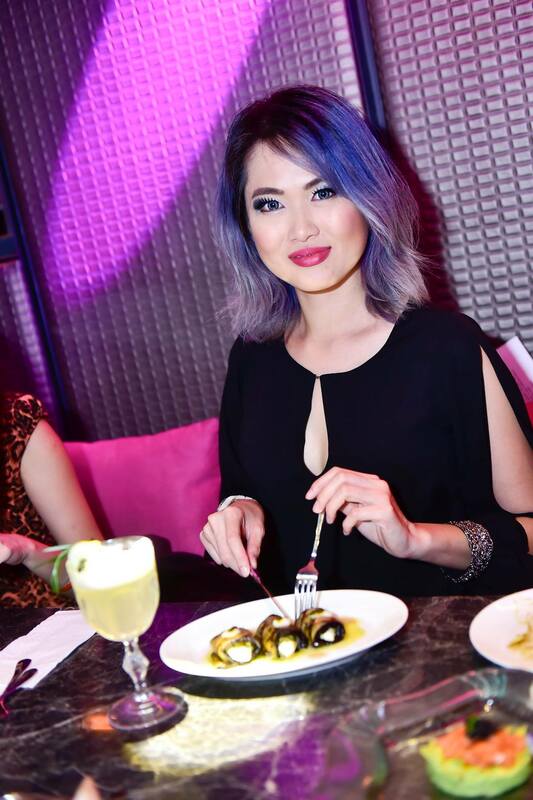 The plump and juicy scallops were a hit among the girls. A somewhat unusual combination that turned out to be surprisingly delicious! The most expensive item on the menu. A beautifully cooked full/ half lobster with some greens and pieces of mango to balance the overall flavours of the dish. 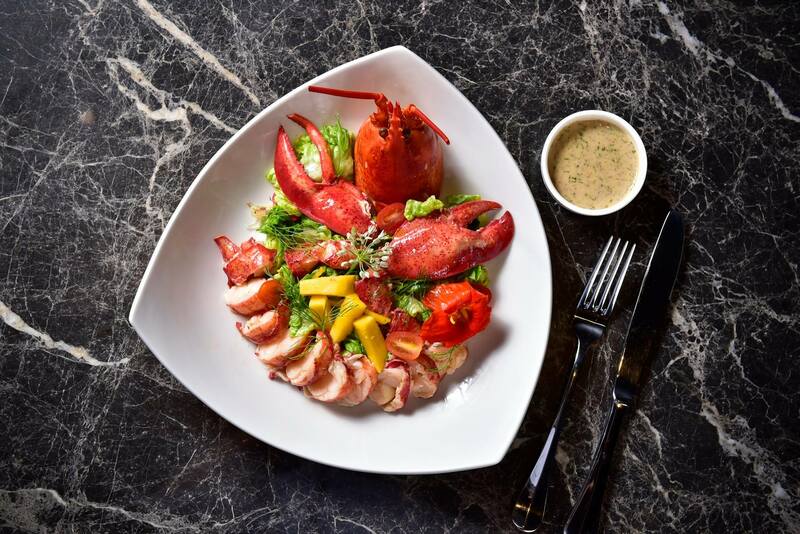 The lobster flesh is so sweet and succulent that you won’t even need the sauce that comes with this dish. 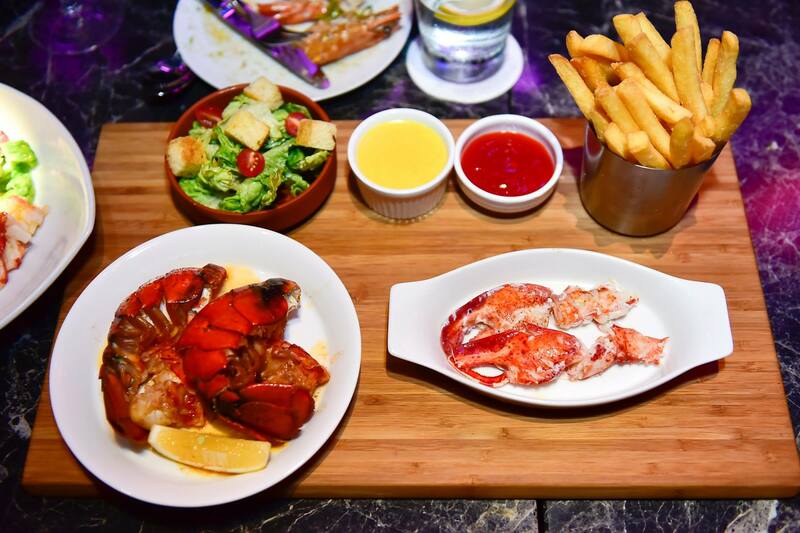 The lobster tail is roasted, while the claws are broiled and served with Rouille sauce, served with a side salad and French fries. 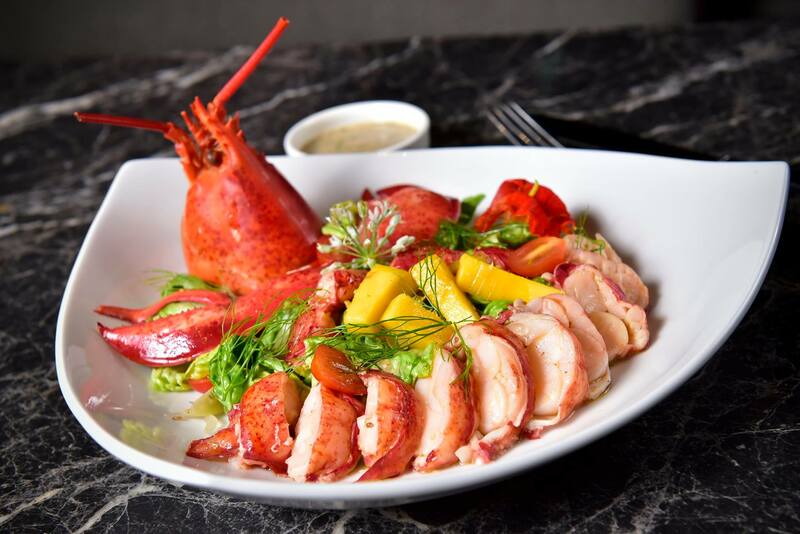 Again the chef showcased his prowess for cooking lobster with this gorgeous offering! 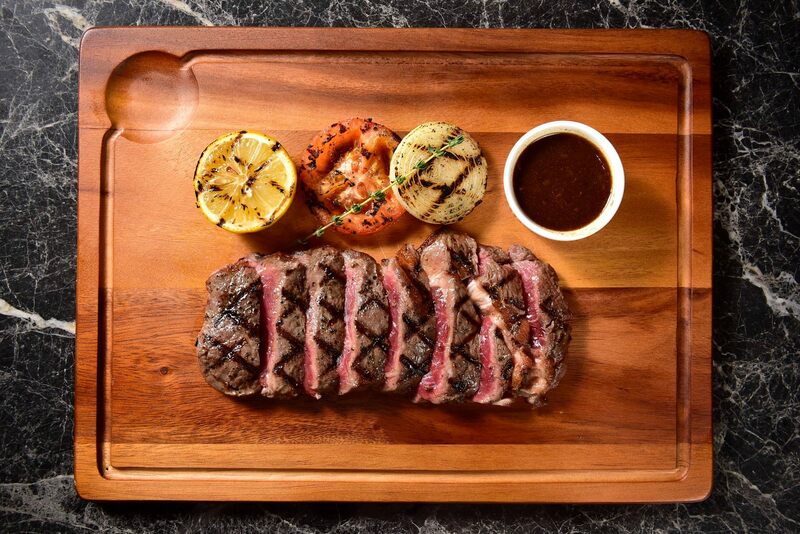 Do yourself a favour and order this medium rare to fully enjoy it. 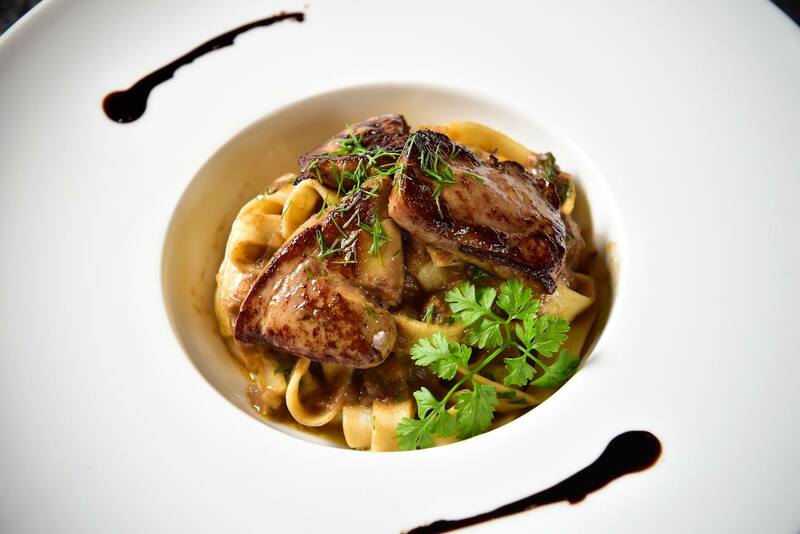 The tenderloin was perfectly cooked – ensuring that the meat was juicy, tender and flavourful. A perfect treat for a meat eater. 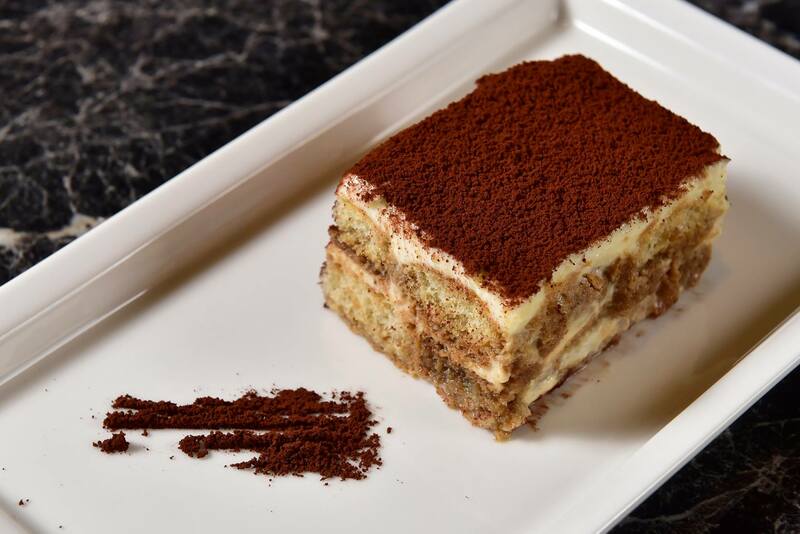 To end the meal we had two desserts, the first of which was the tiramisu which was creamy and had a nice coffee flavour. Stephanie’s favourite dessert. Creamy and with a crispy sugar top that’s beautifully caramelised. 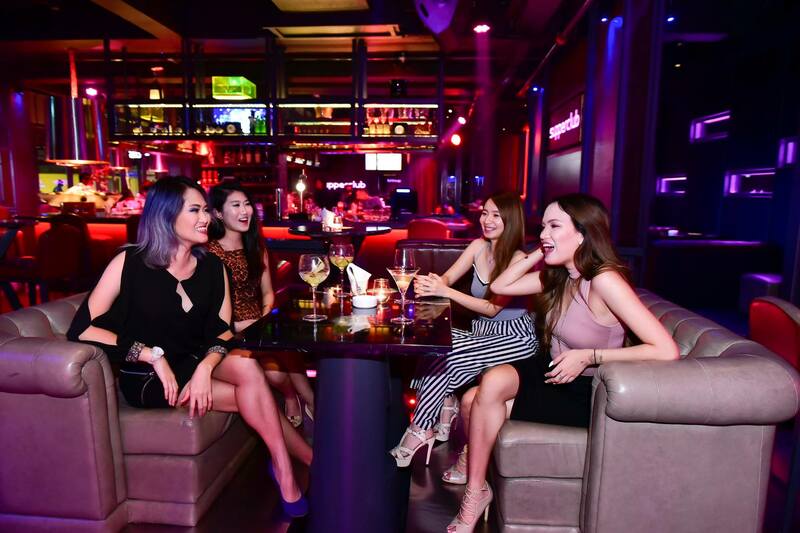 A nice place to chill over some drinks like draught beers, cocktails, liquor, wine or even champagne! 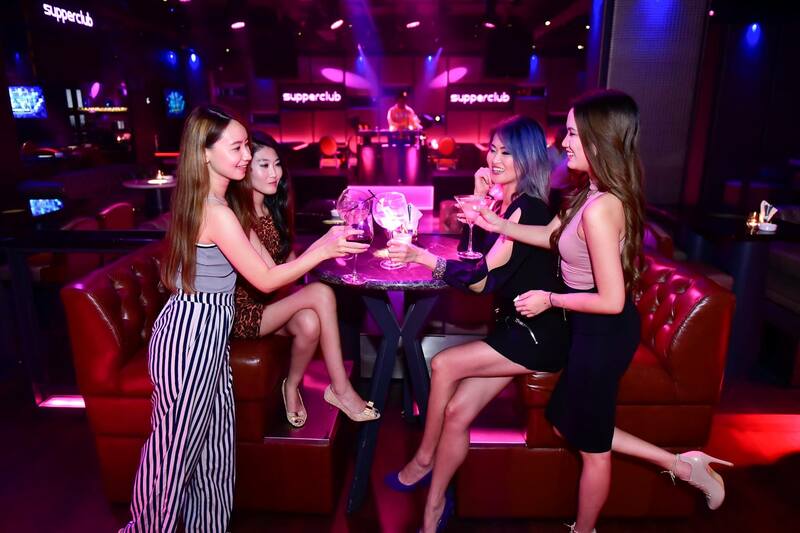 All in all, Supperclub KL is a welcome addition to the F&B scene in Kuala Lumpur, with its multi-concept offering and delicious premium dining options. 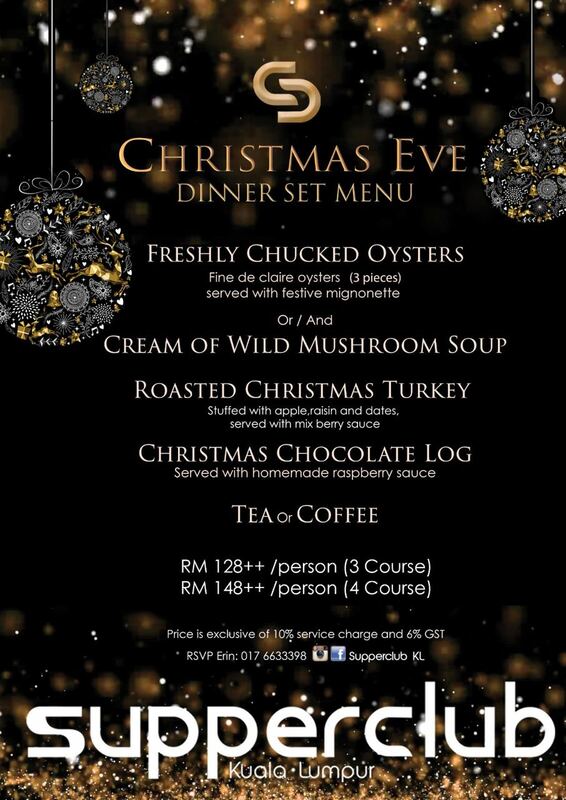 Supperclub is also great for special occasions such as Christmas and New Year’s Eve and they have a special Christmas Eve menu specially for the night.